On a mixed night in recent OLYMPICS rating history, Rio had a small dip. Ratings analysis and Olympics comparisons follow the chart. 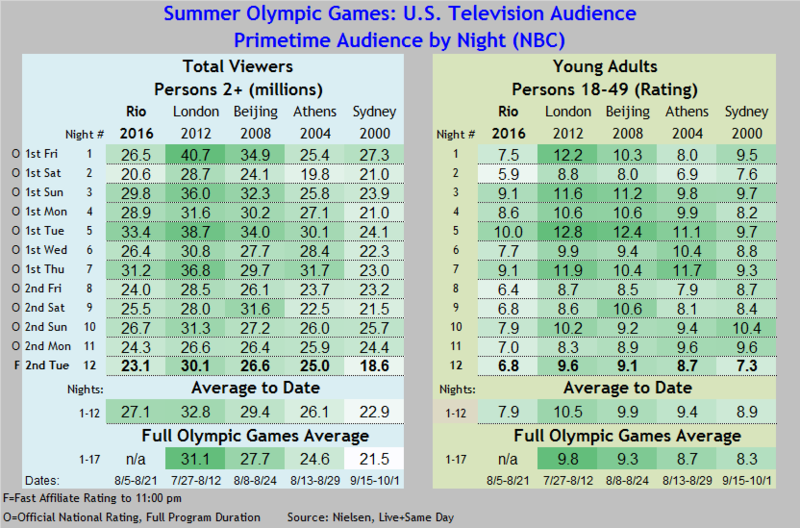 NBC: Night 12 of the SUMMER OLYMPICS has ranged everywhere from a 1.7 drop (Sydney) to a 1.3 increase (London). Rio was in between, down 0.2 from Monday to a preliminary 6.8. However, its 12-day average is still a full point below the next-lowest Summer Olympics of the past 20 years. 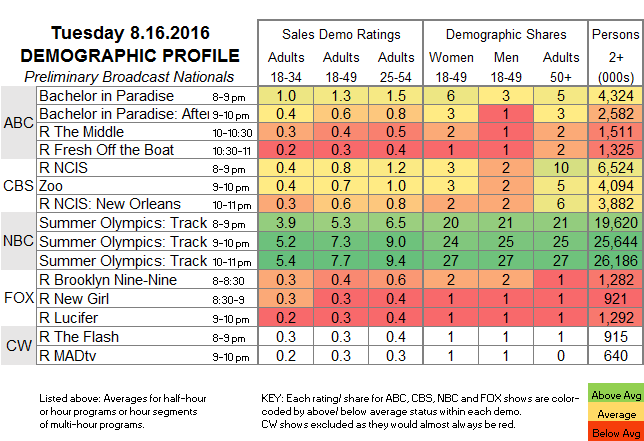 ABC: BACHELOR IN PARADISE increased by 0.2 from last Tuesday to 1.3, and the AFTER-SHOW was up 0.1 to 0.6. The night was rounded off by 0.4/0.3 sitcom reruns. 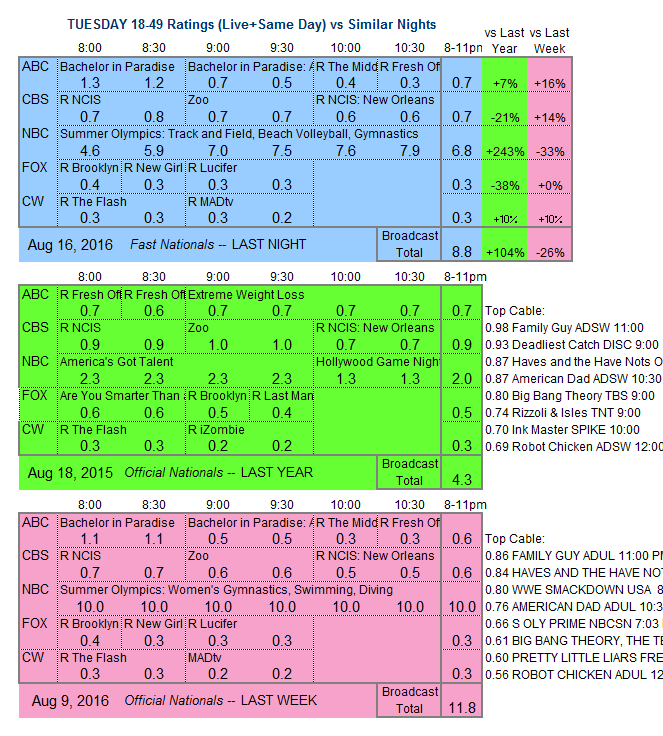 CBS: Between 0.8/0.6 procedural reruns, ZOO gained 0.1 to 0.7. CW premieres the docu-miniseries MY LAST DAYS tonight.